darkSpyro - Spyro and Skylanders Forum - Skylanders: Trap Team - Legacy hats... COME ON!!!! 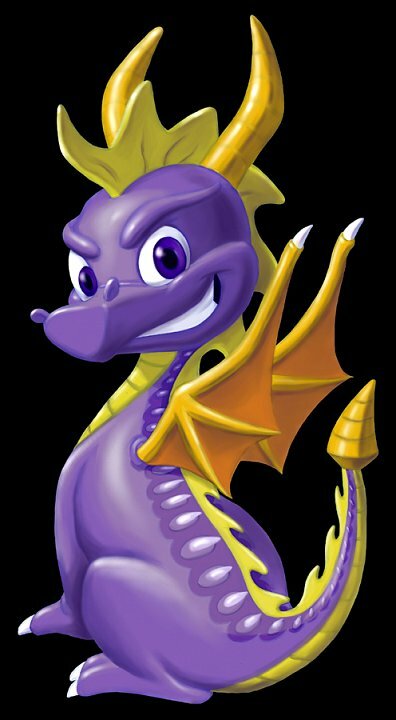 darkSpyro - Spyro and Skylanders Forum > Skylanders: Trap Team > Legacy hats... COME ON!!!! When I ported them all over, I was missing UFO Hat and Springtime Hat in STT. Somehow, my Santa Hat is being read as Kickoff Hat by STT and the Springtime Hat is being read as Jolly Hat. End product: I can't get my Springtime Hat into STT, which figures because most of my skylanders were wearing that one. Anyone else seeing this issue? Wait, so you're saying that Trap Team can't "recognize" certain hats until you get a character with a hat and then "place him" inside of Trap Team? Perhaps I didn't understand the hat problem correctly. awwww, darn, i wish i'd known this before i put all my other skylanders into TT. i was wondering how i was supposed to get those missing 100ish hats. The nightmare hats unlocked in my normal save when I loaded it. So that a good thing. Basically, in order to unlock 'Legacy' hats, you need to have a Skylander that has that hat from a previous game, then put them into Trap Team. The real issue he's having is that the codes for the Springtime, Kickoff, and Jolly hats are switched around when moved from Swap Force to Trap Team. Ahh ok, so the legacy hats can't be purchased like Swap Force then? Agree with you, not sure I care to see a bunch of hats I'll never wear again. ^This is the easiest way to explain it. Sorry guys... I conducted my search on the topic as "legacy hats" and got no results. I have since found the other threads. My bad, I hate unnecessary reposting of stuff. Still, I went to Wal-Mart and bought Kickoff just in case there was a pattern... seems there was. I believe that you can do that, but it sounds like the OP opted to bring them over through the figures instead. That said though, I haven't really tried to do that yet, so I'm mostly guessing. I got the hats sorted... but I noticed the 3 hats in question show no stat boosts in their description. When equipped, they show no increase "splashes" when you exit the menu. the legacy hats aren't in the hat store. Then what is? When I finally unlocked it, there was no inventory. So how many hats have to be brought over from SSF? And the Giants/Swap Force hats. so your basically saying i need to buy kickoff countdown to get my Jolly Hat for my Springtime Trigger Happy??. FFFFFFFFFFUUUUUUUUUUUU....! Wait, are you saying in order to have the hats from Giants/Swap Force listed in the hats collection of Trap Team, you need to first put a specific hat on a character in Giants/Swap Force, then use them in Trap Team? Are you sure? About how many hats are we talking about? Holy cow, I just reread all the posts in this topic. I can't believe I didn't understand what you guys were saying until now. Anyone know about how many hats that is to transfer? Wow....so pretty much a slap in the face where otherwise they could easily patch this. You can't even buy the hat in the store, with gold? I think it was about 147 hats. Yikes, thanks for the info. The 3DS version of Trap Team handles the hats differently. Each level has three hats to find which are new to Trap Team, but when you replay the level the same three hat locations will contain random legacy hats. One of the first legacy hats I happened to get was a Golden Top Hat, and the bonus is something like 15% health, 15% experience, 15% damage, 15% critical hit chance. Best hat I've seen so far in the game. While I have all three affected characters and don't have to worry about this, people who don't have all of the characters might try Activision's suggested fix of putting the desired hat on the Skylander again, even if it's already there. If it doesn't show up in the inventory of available/unlocked hats you could always try putting that hat onto a different Skylander and bringing them back into Trap Team. Past that, everybody might be stuck buying or borrowing all three characters until Activision sees fit to patch the bug, if they ever do. I like the idea. A neat way to earn hats that are from the old games. But would this stay in the next games? No Count, because you aren't buying the game, right? Transferred the legacy hats from Swap Force last night. Wasn't as bad as I was expecting. It helped to know there are 36 legacy hats you don't have to transfer since you can buy them from Hatterson. So you don't need to do all 147 Swap Force hats (although 111 hats is still no small number). It was nice to see how many hats were reanimated for Trap Team. My favorite updated hats were the Shark Hat and Wizard Hat. I FIXED THAT HATS GLITCH! Ugh, I hate reading posts made in all caps. At any rate, it's good that we found a workaround. I think they ruined the shark hat. Well, it took me almost all day to get all the hats from Swap Force and into Trap Team, but it was totally worth it. I really hope the Rainbow Hat will be available not only after beating TT entirely in Nightmare mode, but in the fifth Skylanders console game as well. I unlocked Eye of Kaos hat in the 3DS game. Anyone know what the stat boosts in the console version are? I can wear it in the console version if I scan it to a figure first using the 3DS portal, but since I dont have it unlocked in console it doesnt display the stat boosts. Go to the Skylander screen, go to the stats screen, look at the top right below the name. Thanks for the tip, Wolfgang. Its only +22 Elemental Power boost. In the 3DS version, the hat stats are all different than the consoles, the stats are Health +10%, Damage +10%, Experience +10%, Critical Hit Chance +10%. The gold top hat is still best hat on 3DS, it has all those boosts but +15%. Oh cool. I haven't bought it myself yet, waiting for Black Friday. Picked up some figures and traps though. I had put all my legacy hats on my Skylanders in Swap Force and individually transferred them over to a save file in hard mode for Trap Team. I just recently beat the game and started a new file for Nightmare Mode that I unlocked, but I see that I have to do the transfer process all over again now for the new save file! Is there any way to get around this or did you guys have to repeat the whole process again for the Nightmare mode save file??? If one of the game files is completed in Nightmare mode and after defeating Kaos, the Rainbow Hat will be added to other game files of any difficulty besides Nightmare. I have STTT, JBB, and KC, so I don't need to worry about that. EDIT: Oops..I can't read. Nevermind! My question involves transferring the hats to a second save file. Do you really have to do it all over again with the legacy hats for a new Nightmare mode save file after you've already done it for a regular save file on hard mode? Or is there a workaround after you've done it once already? It was tedious enough to do it once. Consider this painful process us being "on notice" that they want to drop support for legacy hats moving forward. that's how I take all of this.